At one time feeding a puppy was fairly easy. There wasn’t a lot of choice in commercial puppy food so you bought one of the brands of puppy kibble sold at the grocery store. But that was 50 years ago. Today if you have a puppy there are a lot of choices. In fact, there are so many choices that deciding what to feed a puppy can be downright confusing. Do you feed your puppy based on his size? Does your puppy need a grain free food? Do you have a giant breed puppy? Are the nutrients properly balanced in the food? Can you switch your puppy to an adult food? Should you feed a kibble? Canned food? Something else? We’ll look at some of the factors you should consider when choosing a food for your puppy and help you decide which foods are best. But first, here are some things you should know about feeding puppies. Most puppies are already eating solid food by the time they are about four weeks old. A puppy is more than capable of eating real food when you bring him home. However, if you are feeding a puppy kibble, you may want to moisten it with some warm water for the first few days to make it a little softer until your puppy gets used to it. When you bring your puppy home, it’s important to find out what he has been eating. This is true whether you get your puppy from a breeder, a shelter, or any source. Many places will send a small sample of the puppy’s current food home with you so he can continue to eat it for a few days. You can continue to feed the food the puppy is used to or gradually mix it with the new food you choose for the puppy. Any change in food for a puppy should be made slowly. Sudden changes can upset a puppy (or dog’s) stomach and he can have some problems with diarrhea or other stomach troubles. If you are bringing home a puppy that is two or three months old (8 to 12 weeks), you can start him on three small meals per day. A toy or very small breed puppy may require four small meals per day. Very small puppies can have some problems with hypoglycemia so they may need to eat more often. You can generally continue feeding three (or four) meals per day until a puppy is about six months old. Then you can cut back a meal. Medium and large breed puppies can eat two meals per day. Toy and small breed puppies can eat three meals per day. Once toy and small breed puppies are mature they can also eat two meals per day but they may need some treats and snacks between meals if they have any difficulties with their blood sugar. Return to three meals per day with these little dogs if necessary. Do not free feed your puppy. This is very important. Free feeding is convenient for owners and dogs enjoy it. However, it’s the fastest way to make your puppy obese. Becoming overweight or obese will lead to serious health problems and shorten your puppy’s life. Measure your puppy’s food portions. Put down enough food for him to eat in 10 or 15 minutes and then remove the food. You can use the guidelines provided on the puppy food you buy as a starting point for how much to feed your puppy but you may need to adjust the amount you feed him based on whether he is gaining or losing weight. (More on how much to feed your puppy later.) Do not worry if your puppy leaves food in his dish the first couple of times you pick it up after 15 minutes. Dogs are very smart. Your puppy will learn that he needs to eat his food when you put it down for him. These are the basics of feeding your puppy. Now to discuss some of the things you need to know about puppy foods. 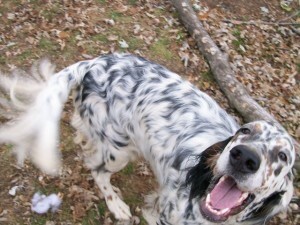 Puppies are undergoing a lot of physical changes during the first year of their lives. The food they eat needs to be different from the food for adult dogs so it can provide the right nutrients – and in the right proportions. Puppies should grow slowly since rapid growth can put stress on their bones and lead to skeletal problems later in life. It’s also important for puppies to stay slim while they are growing. Chubby puppies may be cute but being overweight, even as a puppy, can lead to health problems later. At any rate, when you see guidelines on a bag of dog food or puppy food, this is where those guidelines come from. They are based on this research. This is how they know how many calories it takes to feed a 10-pound puppy. You can see the nutrient requirements for growing puppies on this page in Table 3, for growth and reproduction in dogs. The exponential formula (RER = 70 [body wt in kg0.75]) can be used for animals of any body weight. RER refers to “Resting energy rate.” This is one of the formulas that is commonly used to figure how much food to feed a dog or puppy in the feeding guidelines for dog and puppy food. You can also check Table 9 on that same page for general guidelines on how much to feed puppies that are less than four months old and more than four months old, based on the resting energy rate. Formulas and guidelines are fine, but how much should you feed your puppy? Puppies do most of their growing in the first five or six months of life. During that time, they need to eat about twice as many calories per pound as an adult dog of the same breed. 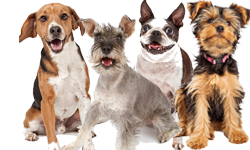 The feeding charts on your dog food are a good place to start (based on a puppy’s age and weight) but every puppy is different. Puppies have growth spurts, for example. A puppy can seem to literally grow overnight. You’ll need to keep an eye on your puppy’s condition. Is he gaining weight on the food he’s eating? Is he losing weight? How does his coat look? It should be shining and his skin should be healthy. He should have plenty of energy. He should be happy and healthy on the food he’s eating. His stool should be small, dark, and firm. Any long-time dog owner will tell you that you can tell a lot about dog’s health by looking at his stool. You can also talk to your veterinarian about your puppy’s weight and condition. Most vets will tell you that the puppies and dogs they see in their practice are overweight. They usually have a body condition chart in their offices so you can compare your puppy’s body condition to what it should be. The scale ranges from 1 to 5, with 1 being skinny and 5 being obese. An adult dog should ideally be a 3 but it’s usually good for a growing puppy to be a 2. Puppies need to remain lean while they are growing. You should be able to feel a puppy’s ribs. A puppy should have a definite “tuck up” or waist. And it’s not unusual to see a puppy’s back bones. Puppies should not have any fat on their bodies while they are growing. Obviously, you don’t want your puppy to be skin and bones, but a puppy needs to be healthy and slim. Don’t worry. As your puppy becomes an adult and his growth slows, he will begin to fill out. But you should not allow him to become overweight. According to the NRC recommendations, a puppy diet needs to have a minimum of 22 percent protein as dry matter or 45 grams of protein in a 1,000kcal ME (metabolizable energy) for puppies that are between 4 and 14 weeks old; and 35 grams of program/1,000 kcal ME for puppies that are over 14 weeks old. This is more than the minimum required for adult dogs. Most owners today probably buy food that has a higher protein percentage than this anyway. The source of the protein is just as important as the percentage. Good quality protein is always important for puppies – good quality and easy to digest. Dogs need fat in their diet to help absorb fat-soluble vitamins, to keep their skin and coat healthy, and to provide energy. The optimal diet for growing puppies should have a minimum of 8 percent fat as dry matter or 5.9 grams of fat per kg metabolic body weight/day; or 21.3 grams of fat/1,000 kcal ME. Puppies have been found to have better neurological growth with the addition of docosahexaenoic acid (DHA) in their diet. 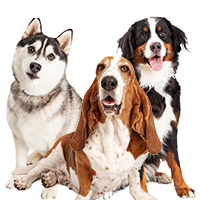 Puppies whose diets contain DHA perform better in learning experiments and are easier to train than puppies fed diets without DHA. DHA and other longer chain omega-3 fatty acids are primarily found in marine animals. Many puppy foods advertise that they include DHA. Puppy diets usually contain 8 to 20 percent fat by dry matter basis. This range is because some puppies, such as the giant breeds, need to be especially careful about eating fewer calories in their diet. Sometimes less is better. 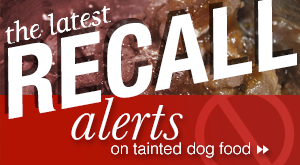 Many other food ingredients in dog and puppy food are very similar. There is no particular reason to avoid grains for puppies or, conversely, to feed puppy foods that contain grains. Puppies can eat puppy food that contains a high proportion of meat – as long as the calcium, phosphorus and other minerals are well-balanced. With some foods that contain a lot of meat, the minerals are not appropriately balanced. A high meat diet can be high in phosphorus and low in calcium if it’s not properly balanced. At the same time, some diets that are high in carbohydrates have a lot of phytates that can interfere with the proper absorption of trace minerals. It’s very important for puppies to have the right vitamins and minerals or they can suffer long-term health problems later. Ideally, puppy foods will have a calcium to phosphorus ration of between 1:1 to 2.1:1 (minimum and maximum) according to AAFCO. Owners of large and giant breed puppies need to be particularly careful about the calcium percentage in puppy food – not just the ratio of calcium to phosphorus, but the overall percentage of calcium that puppies have in their diets. More than 3 percent calcium by dry matter basis can result in serious osteochondrosis and skeletal problems. Symptoms can include lameness, pain when moving, and decreased mobility. Large and giant breed dogs tend to grow faster than medium and small dogs so any excesses or imbalances in calcium can have a drastic effect on skeletal development. Owners should not add any kind of calcium supplements to a puppy’s diet. That is particularly important for large and giant breed puppies. No milk, cheese, cottage cheese, yogurt, or other dairy products. Doing so risks oversupplementing your puppy with calcium. 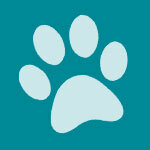 Check the labels of puppy foods carefully to see the amount of calcium in the food. 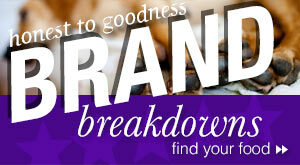 Visit web sites for the foods if necessary to find more precise information or call the company. 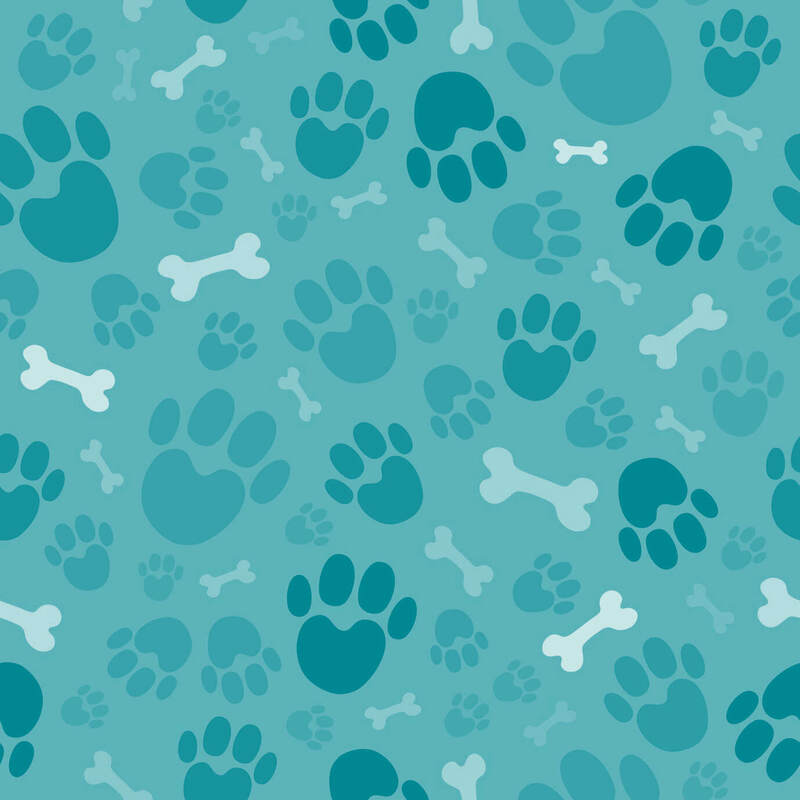 Dog food companies do know what percentage of calcium is in their puppy formulas so keep looking and asking them until you find the information you need. In addition to being careful about the calcium content of puppy food for large and giant breed puppies, it’s also very important to feed these dogs puppy foods that are lower in calories. These breeds not only grow very large, but many of them tend to grow very fast. Keeping the calories lower will help slow their growth. That’s why, as mentioned, you will often find puppy foods for giant breed puppies have a lower fat percentage. Whenever possible, it’s better to choose puppy foods that have earned their AAFCO nutritional adequacy statement as a result of a feeding trial instead of by means of a nutrient profile. Many people criticize AAFCO feeding trials as being too lax, and there is some truth to this criticism. For examples, the trials to achieve a nutritional adequacy statement for growth – which covers puppy food – last only 10 weeks. (Foods for some other nutritional adequacy statements last longer.) That’s hardly enough time to determine what long-term effect the puppy food will have on a puppy. And, yet, these trials are better than nothing. Or better than the use of nutrient profiles, which is the other way a pet food company can earn their nutritional adequacy statement. When a nutrient profile is submitted, the food isn’t fed to any animals before it is sold to the public. It simply looks like it would be a good recipe on paper. So, the AAFCO feeding trials are the best tests we have at the moment. 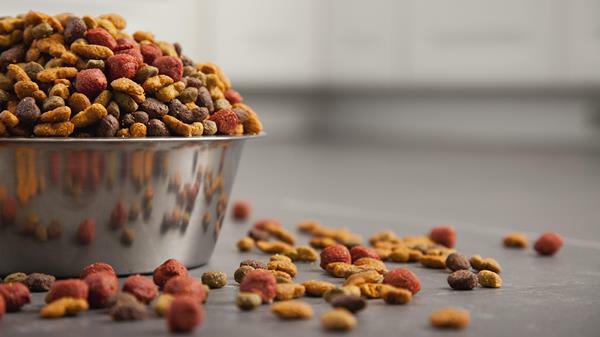 Some of the large, successful pet food companies that invest a lot of money in pet food research, such as Eukanuba-Iams, Purina, Hill’s-Science Diet, and others, have their own research divisions and they do carry out private testing of pet foods before they request AAFCO approval. These companies can afford to do the testing. Many smaller companies – including some of the most popular companies that use natural and organic ingredients – rely on nutrient profiles. They are often smaller companies and they don’t yet have the budgets to do feeding trials and private research. When it comes to choosing what kind of food to feed your puppy, the popular choice is kibble. This is mostly because kibble costs less per ounce/pound than canned food or other forms of dog food. It’s easy to store. And if you have a medium-sized puppy, or larger, it’s easier to buy a bag of kibble once in a while than it is to frequently buy lots of cans. However, if you have a toy or small breed puppy, or you prefer canned food, there is not reason not to feed a good canned food to your puppy. There are many excellent canned puppy foods. Many owners like to add a good topping of canned food to their puppy’s kibble so he gets something tasty on top of his dry food. Freeze-dried and frozen foods can also be good choices for puppies, especially if you like foods that have more meat or raw ingredients. There are a number of dog food companies that make some good puppy foods using these methods. You can really feed your puppy using whichever method you prefer. There are good puppy foods available from all of them. Some of these foods are easier to find than others. You may have to order some of them online to find them. But if you have your heart set on a certain food or kind of diet, you can find your puppy that way and provide a good diet. Can you feed a puppy using a raw diet? Yes, there’s no reason why you can’t. Whether you make the food yourself or order the food from one of the companies that pre-mixes it for you, you can certainly feed a puppy a healthy diet using a raw diet. As long as you are careful about what you feed and make sure that your puppy is getting the right vitamins, minerals, and trace minerals in his diet, a puppy can be raised this way. We recommend that you read up on raw diets and learn all you can. Toy and small breed puppies will usually reach maturity faster than medium breeds. They will usually be nearly grown by the time they are about nine months old. You can switch them to an adult food between nine months and a year of age, depending on their size and how mature the individual puppy is. Medium dogs will take a little longer to grow and develop but they should reach 90 percent of maturity as they approach a year old so you can make the switch then. Large and giant breeds can keep growing past a year. 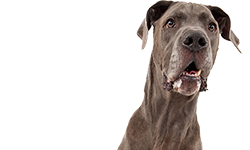 Giant breed puppies can continue to grow until they are 18 months old or longer so continue to feed them a good puppy food while their bones are developing. Once they seem to have reached their adult size, you can switch to an adult food (finally). Puppies are impossible to resist and you’ll likely want to give your puppy plenty of treats. Keep in mind that treats and snacks also have calories – just as our human snacks have calories! Some dog and puppy snacks have quite a lot of calories so you’ll need to watch how many and what you give your puppy. Snacks and treats can really expand your puppy’s waistline. You should not give your puppy more than 5 percent of his daily calories from snacks. His regular meals are more important than snacks. If you give him a lot of snacks, deduct the amount from his food. Otherwise, you’re going to be coping with a fat puppy. Instead of giving your puppy fattening snacks and treats, you can give him some healthier treats that aren’t high in calories such as vegetable and fruit slices. Carrot pieces, apple slices, pear slices, and other fruit and vegetables are favorites with some dogs and they are low in calories. Unbuttered, unsalted popcorn is also a favorite with dogs. There are plenty of puppy foods available today. If you and your puppy don’t like one, you can try another. Remember to watch your puppy’s condition. He should be happy and playful. His skin and coat should be healthy and shiny. He should be slim. And his poop should be small and firm. If your puppy looks and acts healthy on the puppy food you’re feeding him, then chances are that it’s a pretty good food. 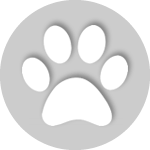 Keep checking these pages for reviews, coupons, and information about puppy foods. I am writing this because I have an issue/question. 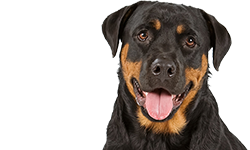 We have used pedigree for our dogs for many years because it has always provided excellent results for our pets and they seem to thrive on it. We’ve never had dental problems with it…basically we’ve been extremely happy with all the different foods and snacks and our dogs love every Pedigree product made, food, treats the whole bit. I purchased a large bag of pedigree puppy about a week ago and my dogs started getting sick, vomiting & diarrhea, every time I feed them. 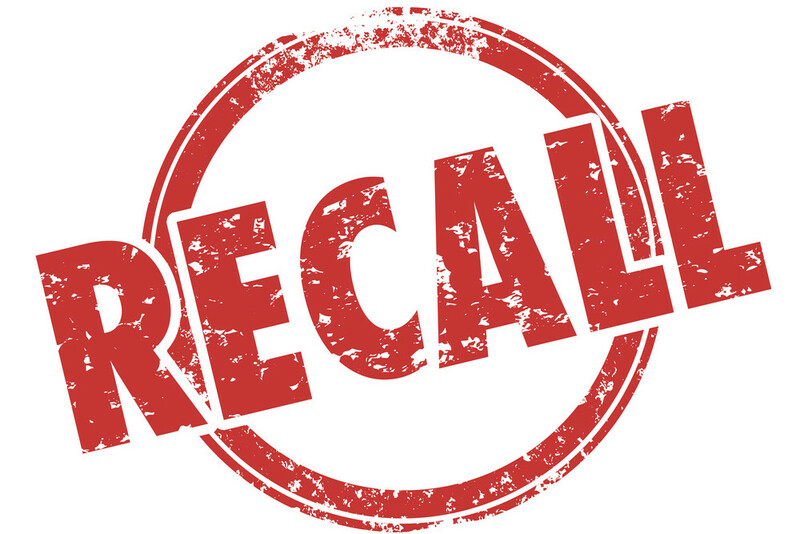 Has there been a recall on the dry puppy food? I have 3 dogs and all 3 of them get sick every time they eat the food from this particular bag of food. We have always had extremely healthy dogs thanks to the pedigree products. I am concerned about this most recent bag though. I am feeding my puppy Fromm Gold in the can. Do I need to keep what is not used in the fridge? 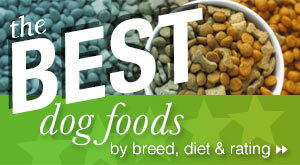 What are the top ten puppy dry dog foods for medium size breeds? Something that is a good, quality food and still available and reasonably priced. I would really like to see some listings for good dog foods while still being reasonably priced per pound.